You may not be a fan of creepy crawlies but it still it is quite interesting to discover that Montserrat has dozens of species of beetles that have not been found anywhere else on earth. The UK Overseas Territories Conservation Forum has released an update on the ongoing project called Saving Our Special Nature of Montserrat. (Read it here…http://ukotcf.org/pdf/fNews/47.pdf) The project, a collaboration with the Ministry of Agriculture, the Montserrat National Trust, and the Darwin Initiative, is being conducted by Montana State University (MSU). Michael A. Ivie is AssociateÂ Professor and Curator in theÂ Department of Entomology at MSU. In 2005, his team collected overÂ 13,000 invertebrateÂ specimens as part of theÂ Centre Hills project. It isÂ estimated that MontserratÂ has more than 1,200Â insect species.Â Many of the insects collected are so small that they requireÂ specialist equipment to view them. As such only a handful ofÂ specialist scientists in the world are able to identify them downÂ to species level. With the expertise of Dr Ivie and his team atÂ MSU, the project focuses on building a collection of ground beetle species for Montserrat. Many of these beetle species areÂ important to Montserrat as they circulate soil nutrients and areÂ prey for larger animals. Some can only be found on MontserratÂ or nearby islands. According toe UKOTC, some of the specimens originate fromÂ scientists who first explored Montserrat over a hundred yearsÂ ago.Â Between 2000-2005, Dr Ivie was part of a team that conductedÂ a biological survey of the Centre Hills. 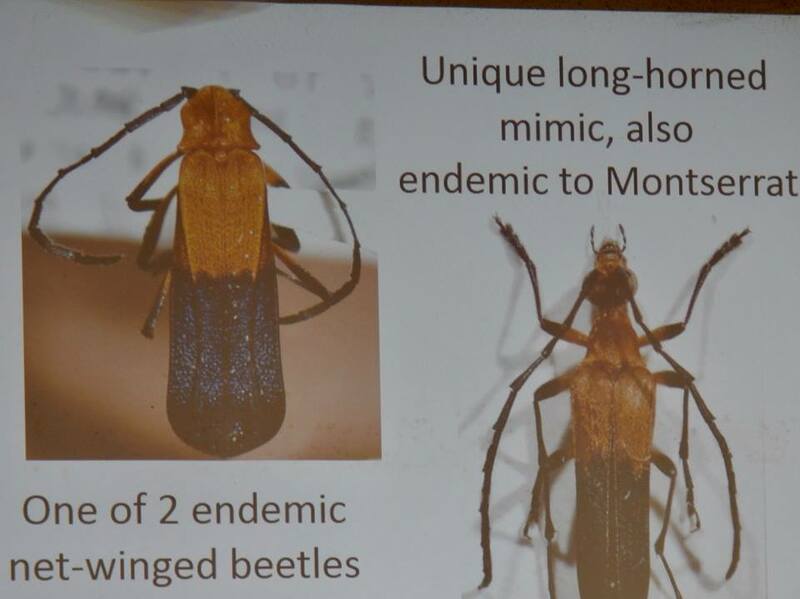 Working closely withÂ many Montserratians, they collected an estimated 1.5 millionÂ insect specimens. 13,044 of these were mounted back at theÂ laboratory in Montana. 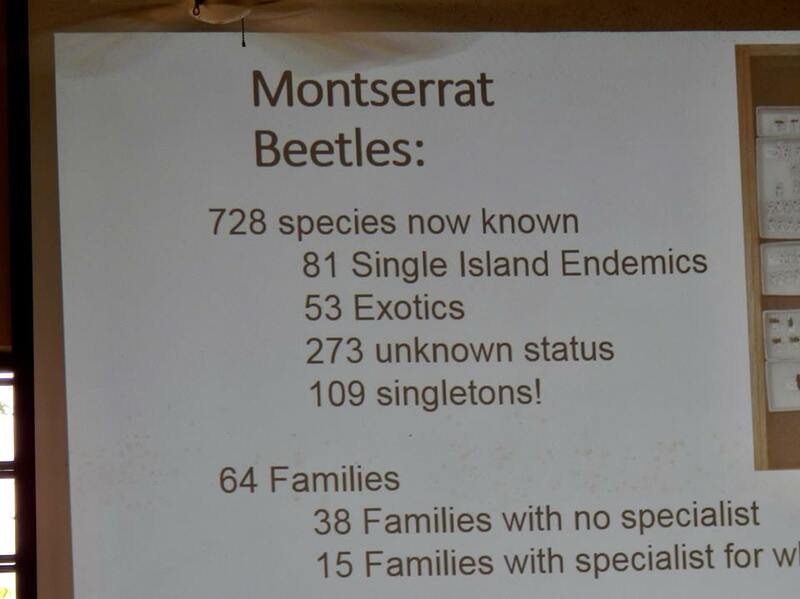 In June, Dr Ivie together with Dr JustinÂ Runyon, who is looking at Montserrat’s flies, gave a lecture on the islandâ€™s unique invertebrate faunaÂ at the Montserrat National Trust. According to their research, 728Â species of beetles are found on the island. Of these, 81 areÂ single-island endemics: that is, they are found nowhere else onÂ earth; 53 are exotics (i.e. introduced by people); and 273 haveÂ an unknown status. ecosystem-services, which is part-funded by UK Governmentâ€™sÂ Darwin Plus initiative. The data collected is being inputted and managed at MSU and will allow for officials, researchers and tourists to learn more about our endemic species.